• Yes, we are going to get into LeBron James’ latest decision, but first we are going to bid adieu to Kam Chancellor. Say what you will about Richard Sherman or Earl Thomas or whoever played the other cornerback spot, it was Chancellor that put the boom in the Legion of Boom. And even though we all knew it would end someday, yesterday’s note on social media, in which Chancellor let it be known he won’t be playing football ever again, hit hard as well. He’s not announcing his retirement, mind you, because in the business of pro football, retiring would cost Chancellor more than $10 million. But he will never play again. The doctors won’t allow it. So he will walk off into the Seattle sunset, soon to be placed on their ring of honor, his place among the franchise’s all-time greats assured. His legacy will be one of big hits, sure, because he did hit people hard. He was an intimidating safety in the Kenny Easley mold, but he also was so athletic – despite being 6-foot-3 and 225 pounds – as to give to Hawks defense a look no one else had. At time he played almost a fourth linebacker, closing off the running game while Thomas took care of anything over the top. At times he roamed the secondary, making sure any tight end who caught the ball found himself shaking off cobwebs a few seconds later. But it was his displays of athleticism that I’ll remember, most notably a move he made in the 2015 playoffs that resulted in the NFL changing a rule. He jumped over the entire offensive line to try to block a short field goal. Let me type that again. He jumped over the offensive line. He didn’t jump on anybody. He didn’t get a boost. He just jumped over the linemen. 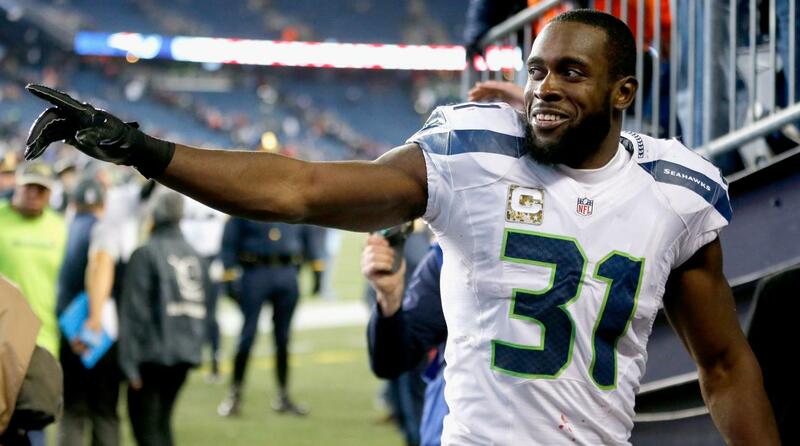 And Kam Chancellor, the guy whose booming hits will resonate through CenturyLink as long as its called that, will not be doing anything on a football field anymore. • Before my basketball dreams were dashed in high school, I used to play a game in my backyard on warm summer nights under the spotlight my dad had rigged up for me. I would be the Lakers. All five of them, from Jerry West to Happy Hairston to Elgin Baylor to Mel Counts. We would be playing the Knicks or Celtics in the NBA Finals. If I made a shot, the Lakers got the two points. If I missed, the bad guys did. Unlike the real Lakers, I won most of the time. I shared this with Jerry West when he spoke at my eighth-grade basketball banquet – the son of Joe Mullaney, the Lakers’ coach at the time, was a teammate. West laughed. Probably rubbed my head while he was at it. Wilt came to town. I started rooting for him. The Lakers got Kareem. I rooted for him. Magic not only became a Laker, but became my all-time favorite player, passing the logo, as West was called. The NBA hasn’t held any interest for me recently, other than following Klay Thompson’s career. But LeBron James’ decision, leaked with little fanfare yesterday in a decidedly non-L.A. manner, may change that. James is following an NBA tradition as old as the league itself: established superstars moving to the Lakers. Wilt was the first, Kareem the most high profile, Shaq the largest. 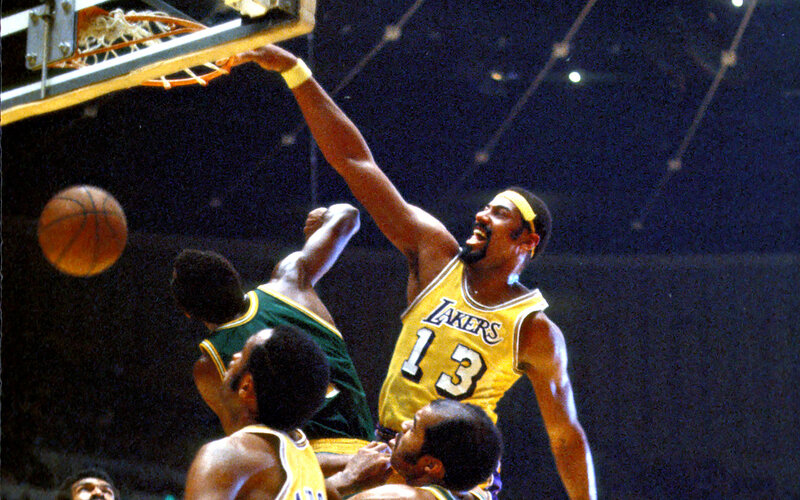 Of those, only Chamberlain made the move on the back-end of his career, but he was also so talented – and dominant – he changed his entire game and led the Lakers to a title. James isn’t at the end of his career. He’s on the downside, but he still is the league’s best player. And now he’s in the city of second acts, ready for his fourth one. It almost makes me want to rush out to the backyard, pick up a basketball and pretend to be the Lakers against the Warriors with the Western Conference Championship on the line. Or as they will call it next year, the real title series. I know all the names of the Warrior players. And I know James'. That’s enough. WSU: A former Washington State running back with a great name is poised to have a big senior year at BYU. … One of the big questions around the Pac-12 this season is how will UCLA do under Chip Kelly? Idaho: Brayon Blake will play in the NBA’s summer league. Indians: The road trip to Hillsboro isn’t going well for Spokane. The Indians lost again. … Eugene and Everett played a doubleheader yesterday and the Ems won both games. Hoopfest: Want to know who won all the elite brackets? Ryan Collinwood tells you, starting with the women’s championship, won by a group of high school girls. A special group. … Don’t forget the recreational aspect of the event. Mariners: It was Canada Day yesterday so it’s probably not a surprise James Paxton came through. But eight shutout innings? That’s pretty impressive. Ben Gamel drove in the only run and the M’s won 1-0. … Nelson Cruz turned 38 yesterday. He’s still rolling. … Felix Hernandez’s back is bothering him. 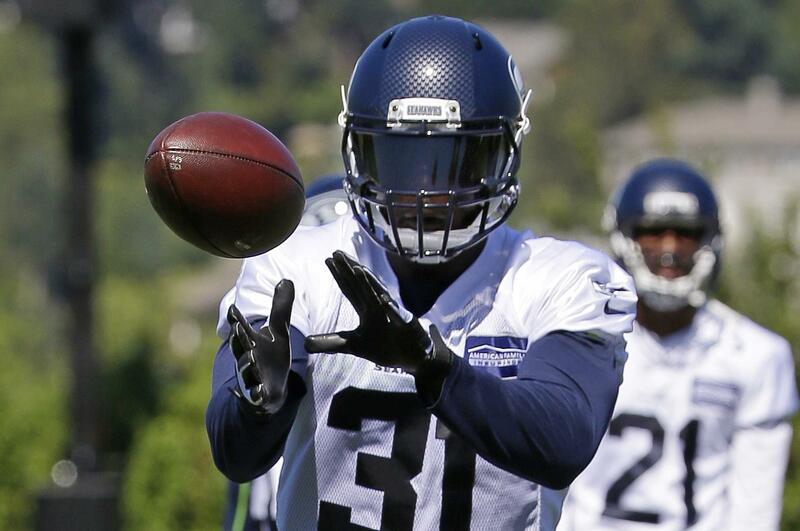 Seahawks: The Chancellor news overshadows everything else in Seattle. Published: July 2, 2018, 8:11 a.m.